Don’t let pain ruin your summer! 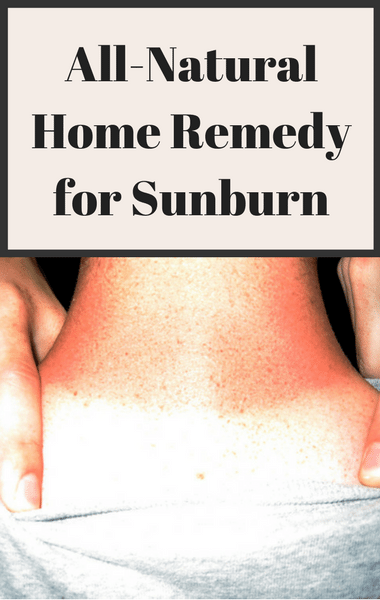 Dr Oz shared his best and favorite home remedies for everything from sunburns to heat rash to bug bites. First, he started with sunburns and some images shared by his loyal viewers of their worst sunburns. One woman, Rachel, went on a trip to Jamaica and didn’t reapply her sunscreen, so she was left with a horrible sunburn on her back. Fortunately, dermatologist Dr Whitney Bowe had just the solution to help Rachel find some relief. It’s oatmeal! Oatmeal has natural ant-inflammatory properties and is soothing for inflamed skin. Instead of simply covering yourself in oatmeal, try wrapping oatmeal up in a cheesecloth then let water pour through it. Collect that liquid and apply it to your sunscreen every 2-4 hours. Your sunscreen will immediately feel better and will heal much faster.